We are the Boston, Massachusetts Workers' Compensation Lawyers to Represent You With Respect to Your Massachusetts Workers' Compensation Claim. NO FEE UNTIL WE GET YOU MONEY ON YOUR MASSACHUSETTS WORKERS' COMPENSATION INJURY CLAIM! 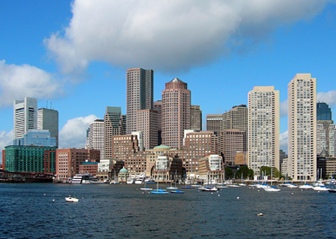 Contact Our Boston Lawyers About Your Massachusetts Workers' Compensation Claim. Our Boston Injured Employee Lawyer Experts Are Available 24/7 at 617-787-3700. You Can Also Email Our Massachusetts Work Injury Attorney Specialists Below. Send Our Boston Personal Injury Attorneys or Boston Wrongful Death Lawyers A Message About Your Massachusetts Workers' Compensation Claim. We Are A Full Service Boston, MA Law Firm. Contact Our Boston Lawyers Today at 617-787-3700. 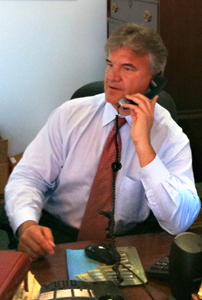 Our Boston Injured Employee Lawyer Specialists Are Just a Phone Call Away! If it is more convenient for you, Attorney Hoy will happily come to your place of choice to meet with you and discuss your Massachusetts workers' compensation claim. Call us twenty four hours a day, seven days a week. If you call and get our office's answering service, please leave a personal message because we'll call you right back. Our Boston law office will not charge you any attorney’s fees unless we successfully and fully recover fair compensation for your Massachusetts personal injury claim. 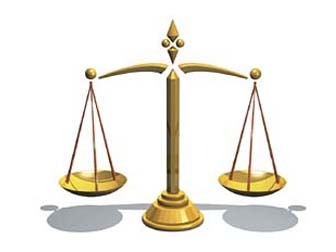 Massachusetts worker’s compensation law is a system of compromise. Massachusetts workers are guaranteed to receive a damage award in the event that they are injured at work regardless of whether or not they contributed to the accident. However, Massachusetts workers are not able to sue their employer for their injuries, unless the employer acted in bad faith or is guilty of criminal conduct. If you or a loved one sustained injuries while at work or in a work-related accident, you may be entitled to a number of damage awards. Typically, these damage awards include lost wages and medical expense reimbursement. Specifically, if you suffer a temporary disability, you may be entitled to receive lost earning capacity of up to sixty percent of the average weekly wage that you were earning prior to your workplace accident. In the event that you sustain a permanent injury that renders you unable to return to your previous employment, you may be entitled to vocational rehabilitation. The Massachusetts worker’s compensation attorneys at our Boston, MA law firm have over two decades of experience in handling complicated Massachusetts worker’s compensation claims and other Massachusetts personal injury cases. Our expert Boston, MA lawyers have gained a national reputation for obtaining some of the highest settlement awards and jury awards available for our Massachusetts clients. A number of the Massachusetts worker’s compensation attorneys that are available to our clients through referral agreements have been named in The Best Lawyers in America. Many have also been recognized by the Boston Globe as Boston’s Best Lawyers, and by Boston Magazine as Massachusetts Super Lawyers and New England Super Lawyers. Our Massachusetts worker’s compensation attorneys are known not only for their outstanding legal knowledge, but also for their compassion. If you have been the victim of a Massachusetts worksite accident that resulted in injury, we understand that you may be experiencing one of the most traumatic events of your life. We are here to help. Generally, Massachusetts worker’s compensation entitles you to medical expense reimbursement and up to sixty percent of your weekly wages if you suffer a temporary disability due to your Massachusetts worksite accident. Vocational rehabilitation may be available. Vocational rehabilitation refers to the process of rebuilding work skills while recovering from a work-related illness or injury. There are a number of vocational rehabilitation services available, including accommodation assistance; assistance with job searching, application and resume services; counseling; ergonomics assessment; interview coaching; labor market surveys; on-the-job training; transferable skills analysis and testing; tuition payments; and wage assessment evaluation, among others. If you or someone you know has been injured on the job or otherwise injured at the workplace, contact the Law Offices of Gilbert R. Hoy, Jr. and Affiliates for a free and confidential consultation. We are available by phone at 617-787-3700 or via email at info@gilhoylaw.com. There is a Massachusetts statute of limitations that limits the amount of time that you may have to bring a claim. It is, therefore, critical that you obtain the assistance of one of our expert and highly skilled Massachusetts worker’s compensation attorneys as soon as you or a loved sustains a Massachusetts work-related injury. At the very least, you will receive free legal advice as to the merits of your case. Do not hesitate to call today at 617-787-3700. Your needs are our top priority! Our Boston Injured Employee Lawyer Experts Are Here To Help You. Contact Our Boston Lawyers 24/7 at 617-787-3700 or Email Us at info@gilhoylaw.com. Our Massachusetts Work Injury Attorney Professionals Are Available Now. It Costs You Nothing To Speak With Us. Call Today. Your Needs Are Our Top Priority! If You or Someone You Know Has Been Injured While Working at a Massachusetts Job, Call the Boston, MA Worker's Compensation Lawyer Experts at the Law Offices of Gilbert R. Hoy, Jr. and Affiliates at 617-787-3700 or Email Our Massachusetts Worker's Compensation Benefits Attorney Specialists at info@gilhoylaw.com. "Our Massachusetts workers' compensation attorneys have the knowledge and experience to help you regarding your personal injury case. 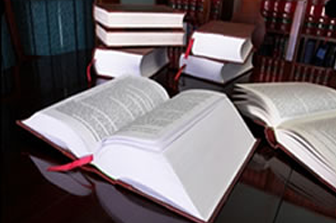 Our lawyers take great pride in the level of services that we give to our clients. Our lawyers will come to you to meet you. Our Boston personal injury lawyers will happily answer all of your questions with respect to your personal injury claim. We will always promptly return your phone calls. And our attorneys will work hard and intelligently until we get you the best possible results regarding your injury claim." 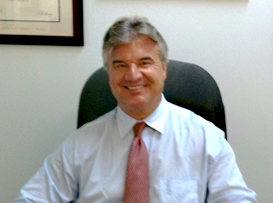 Our Massachusetts Workers' Compensation Attorney Injury Specialists Are Available 24/7. Our Boston Workers' Compensation Lawyers Have Obtained Significant Monetary Recoveries For Our Massachusetts Workers' Compensation Clients. About Representing Our Massachusetts Injured Employee Clients. Let Our Massachusetts Workers' Compensation Lawyers Put Our Expertise And Skills To Work For You.